2C-T-7 is a psychedelic phenethylamine with a long duration. It has not got the same favourable safety profile as other drugs in the class and deaths have resulted from high doses. Though the mechanism for these deaths was once speculated to be through MAOI activity, the low MAOI activity of “Aleph” and other alpha-methylated thiophenethylamines suggests that this is not the case, as alpha-demethylation and addition of methoxy groups to the 2 and 5 positions on the ring both result in reduced MAOI activity. Regardless of this, 2C-T-7 is still dangerous even if we don’t quite know why, so being able to identify it is useful! 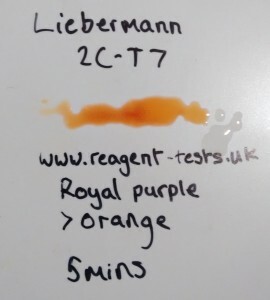 You can see colour changes from the liebermann reagent testing kit below. 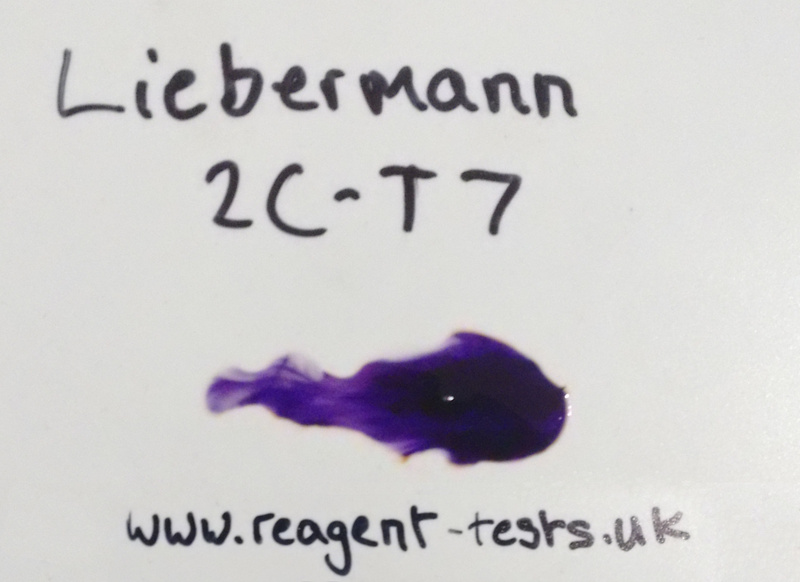 The test initially (and very rapidly) turns a beautiful royal purple. After about 15 seconds it appears that moisture from the air causes an orange colour to develop at the fringes. 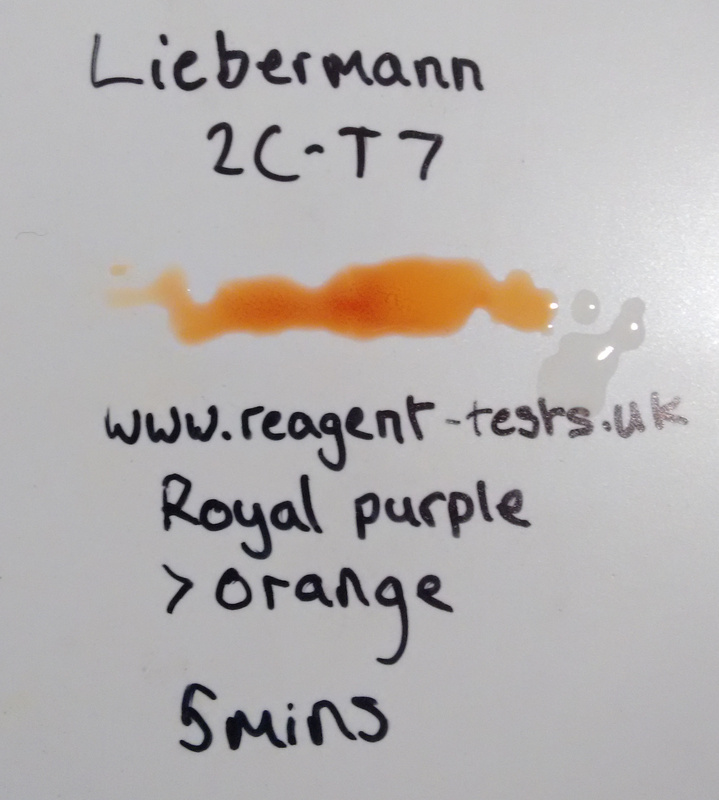 Over the course of about 5 minutes the sample turns completely orange. This sample’s identity was confirmed as 2C-T-7 by WEDINOS.